This playhouse conforms to standards of BS EN-71 European Toy Standards. 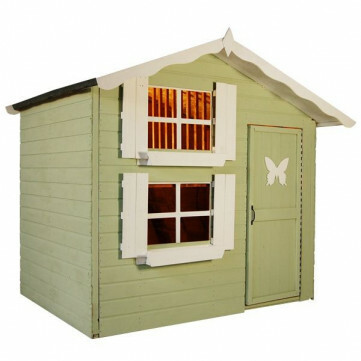 It includes window shutters, window boxes and an internal upstairs area with ladder. 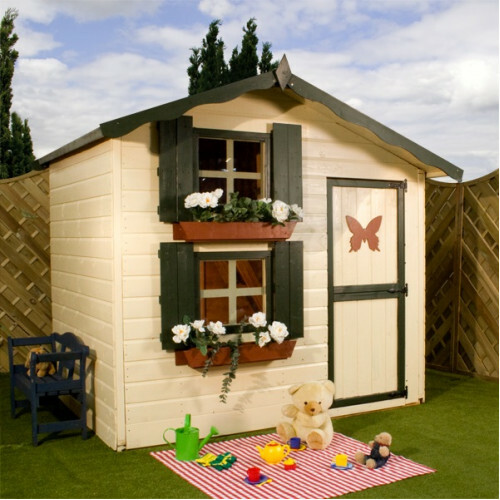 Children love to play their games in it and is very attractive to behold in any garden. 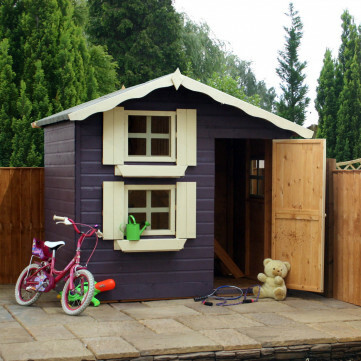 Its high quality design enables your child to benefit from extra space without minimising your outdoor garden area. Please Note: This building is supplied in natural timber finish for you to finish in your choice of colour / preservative - the photograph/s above may show a dressed and painted building for display purposes only, unless otherwise stated. DIY Install - Delivery within 7 Days. Choose this option if you just want the building delivered only, for you to install. Delivery time is within 7 Days. You will be called to book in delivery at a convenient time, so please ensure that we have a suitable telephone number for you. Please note that we are unable to deliver this item to the following postcodes; AB, BT, DD, GY, HS, IM, IV, JE, KA27-28, KW, PA21-78, PH22-44, PO30-40, ZE. This option is for delveyr only, and does not include Installation. Deliver & Install within 2-4 weeks. 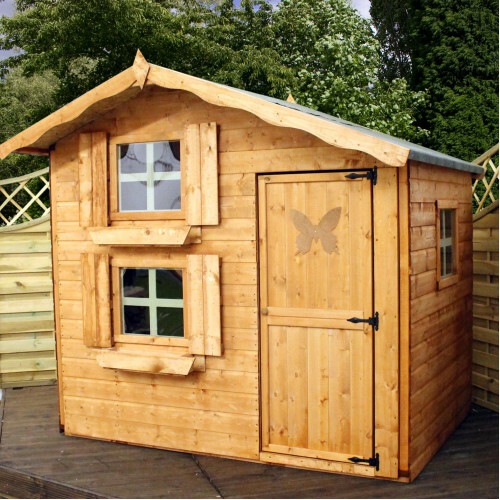 Your building will be delivered and installed on your level base/ prepared area. A Surcharge of £120.00 applies for Delivery & Installation in the following postcodes; CF, EX, LL, PA, PH, PL, SA, SY, TA, TQ, TR. We're not able to offer this service in these postcodes; AB, BT, DD, GY, HS, IM, IV, JE, KA27-28, KW, PA21-78, PH22-44, PO30-40, ZE. Please note that not all products have this option.